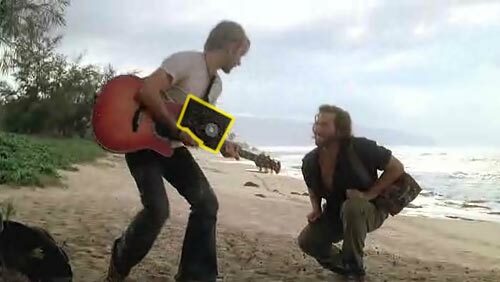 You may have noticed Charlie writing in a composition book during last week’s Lost. (I’m assuming he was working on a Drive Shaft comeback hit since he had his guitar with him.) But you may not have noticed that he was using a DHARMA Initiative data collection notebook—you know, then ones they had at the Pearl Station for scribbling down notes on people at the Swan (as explained in the Pearl Orientation Video). If you want to go all out Lost-otaku-crazy (like me! 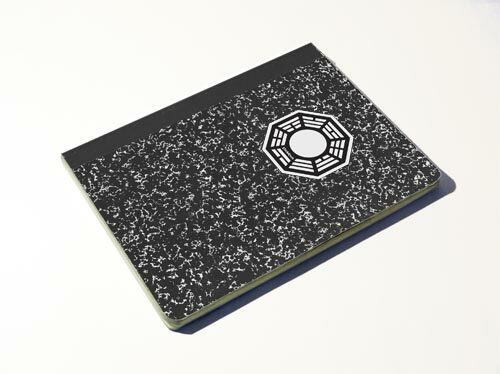 ), then hold off until I post full-on DHARMA Initiative Data Collection Notebook comp book replacement covers have fun using your data collection notebook to jot down calculations that will let you sidestep destiny and the straight path of time. This entry was posted on Wednesday, April 25th, 2007 at 4:43 pm	and is filed under Books, Film/Video, Graphic Design. You can follow any responses to this entry through the RSS 2.0 feed. Responses are currently closed, but you can trackback from your own site.